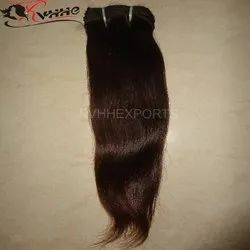 Leading Manufacturer of raw virgin hair unprocessed, straight indian remy hair extensions, pure remy hairs, remy single drawn hair, premium indian remy human hair and indian remy human clip hair extension from Ludhiana. We are leading manufacturer of Raw Virgin Hair UnprocessedWe supply to sell wholesale Indian hair in India without any mixing. This hair is authentic, remy virgin human hair. We offer to sell low prices in the market. We sell high quality Indian natural hair with natural color. This natural color hair can be dye and bleach to change the color of the hair. It’s available in 10 to 30 inch hair lengths. It is 100 % temple raw hair. These hairs can be easily restyled. It is natural human hair with natural shine and smoothness. We are passionately engaged in providing a quality assured array of straight indian remy hair extensions. To wash the hair, we use herbal shampoos and natural herbs. Offered straight hair is processed using 100% pure virgin hair. This straight hair is completely cleaned & checked from our end before the final dispatch. We offer this straight hair in different shades, lengths and textures to choose form. With the help of our skilled professionals, we have been able to offer our clients qualitative range of Pure Remy Hairs. Our pure remy hairs are processed under the utmost hygienic conditions as per the set international norms to ensure high quality. 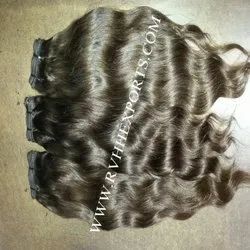 The offered pure remy hairs are comes in numerous styles & sizes keeping in mind the needs of customers. 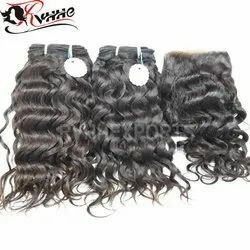 Also, these pure remy hairs are widely used to enhance the personality of the human and make them look different from others. Supply Ability : 100 Kilogram/Kilograms per Month As per client requirement. Our firm specializes in providing our prestigious clients with a qualitative array of Remy Single Drawn Hair. Our single drawn hairs are processed using high quality of natural hairs at our processing unit. The offered single drawn hairs are comes in numerous styles & sizes keeping in mind the needs of customers. The offered single drawn hairs is highly appreciated by our clients owing to natural shine, smooth texture and long lasting finish. we are leading manufacturer of premium indian remy human hairwe supply to sell wholesale indian hair in india without any mixing. This hair is authentic, remy virgin human hair. We offer to sell low prices in the market. We sell high quality indian natural hair with natural color. This natural color hair can be dye and bleach to change the color of the hair. It’s available in 10 to 30 inch hair lengths. It is 100 % temple raw hair. These hairs can be easily restyled. It is natural human hair with natural shine and smoothness. We are the leading manufacturer and exporter of Indian Remy Human Clip Hair Extension. 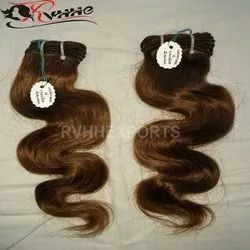 Pack Size 10" to 30"
We are leading manufacturer of Indian Best Remy Human HairWe supply to sell wholesale Indian hair in India without any mixing. This hair is authentic, remy virgin human hair. We offer to sell low prices in the market. We sell high quality Indian natural hair with natural color. This natural color hair can be dye and bleach to change the color of the hair. It’s available in 10 to 30 inch hair lengths. It is 100 % temple raw hair. These hairs can be easily restyled. It is natural human hair with natural shine and smoothness. 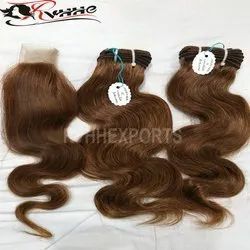 We are leading manufacturer of 9A Premium Remy Indian Human Hair ExtensionWe supply to sell wholesale Indian hair in India without any mixing. This hair is authentic, remy virgin human hair. We offer to sell low prices in the market. We sell high quality Indian natural hair with natural color. This natural color hair can be dye and bleach to change the color of the hair. It’s available in 10 to 30 inch hair lengths. It is 100 % temple raw hair. These hairs can be easily restyled. It is natural human hair with natural shine and smoothness. Remi & Virgin Human Hair Exports are the leading manufacturer and exporter of Indian Remy Human Hair Extension. We offer to sell low prices in the market. We sell high quality Indian natural hair with natural color. This natural color hair can be dye and bleach to change the color of the hair. It's available in 10 to 30 Inch hair lengths. This is beautiful Indian Remy hair style extensions. It's very famous for natural wav style and for silky smooth texture. These hairs are 100% tangle free natural human hair. We are leading manufacturer of Indian Remy Natural Human HairWe supply to sell wholesale Indian hair in India without any mixing. This hair is authentic, remy virgin human hair. We offer to sell low prices in the market. We sell high quality Indian natural hair with natural color. This natural color hair can be dye and bleach to change the color of the hair. It’s available in 10 to 30 inch hair lengths. It is 100 % temple raw hair. These hairs can be easily restyled. It is natural human hair with natural shine and smoothness. 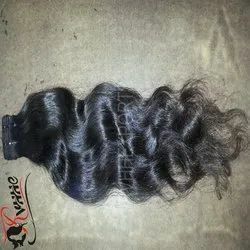 We are leading manufacturer of Natural Remy Indian Human HairWe supply to sell wholesale Indian hair in India without any mixing. This hair is authentic, remy virgin human hair. We offer to sell low prices in the market. We sell high quality Indian natural hair with natural color. This natural color hair can be dye and bleach to change the color of the hair. It’s available in 10 to 30 inch hair lengths. It is 100 % temple raw hair. These hairs can be easily restyled. It is natural human hair with natural shine and smoothness. 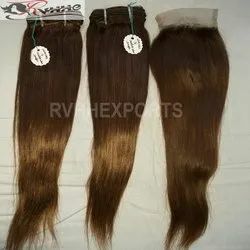 We are leading manufacturer of Remy Indian Human Hair ExtensionWe supply to sell wholesale Indian hair in India without any mixing. This hair is authentic, remy virgin human hair. We offer to sell low prices in the market. We sell high quality Indian natural hair with natural color. This natural color hair can be dye and bleach to change the color of the hair. It’s available in 10 to 30 inch hair lengths. It is 100 % temple raw hair. These hairs can be easily restyled. It is natural human hair with natural shine and smoothness. 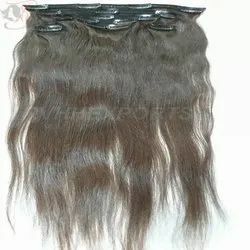 We Are Leading Preparer of Indian Human Hair Machine Wefts we Supply to Sell Wholesale Indian Hair in India Without Any Mixing. This Hair is Authentic, Remy Virgin Human Hair. We Offer to Sell Low Prices in the Market. We Sell High Quality Indian Natural Hair With Natural Color. This Natural Color Hair Can Be Dye and Bleach to Change the Color of the Hair. It’s Available in 10 to 30 Inch Hair Lengths. It is 100 % Temple Raw Hair. These Hairs Can Be Easily Restyled. It is Natural Human Hair With Natural Shine and Smoothness. 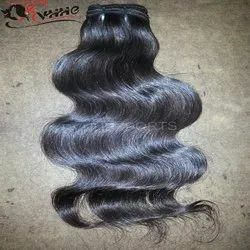 we are leading manufacturer of human remy hair extensions we supply to sell wholesale indian hair in india without any mixing. This hair is authentic, remy virgin human hair. We offer to sell low prices in the market. We sell high quality indian natural hair with natural color. This natural color hair can be dye and bleach to change the color of the hair. It’s available in 10 to 30 inch hair lengths. It is 100 % temple raw hair. These hairs can be easily restyled. It is natural human hair with natural shine and smoothness. 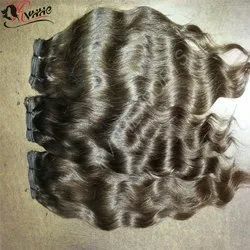 We are leading manufacturer of Remy Single Deep Wavy HairWe supply to sell wholesale Indian hair in India without any mixing. This hair is authentic, remy virgin human hair. We offer to sell low prices in the market. We sell high quality Indian natural hair with natural color. This natural color hair can be dye and bleach to change the color of the hair. It’s available in 10 to 30 inch hair lengths. It is 100 % temple raw hair. These hairs can be easily restyled. It is natural human hair with natural shine and smoothness. Indian hair in India without any mixing. This hair is authentic, remy virgin human hair. We offer to sell low prices in the market. We sell high quality Indian natural hair with natural color. This natural color hair can be dye and bleach to change the color of the hair. It's available in 8 to 30 inch hair lengths. It is 100 We are leading manufacturer of Indian Remy Human Hair Machine Weft. We supply to sell wholesale % temple raw hair. These hairs can be easily restyled. It is natural human hair with natural shine and smoothness. 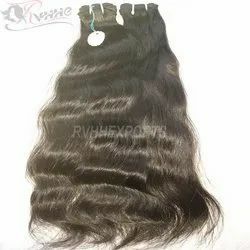 We are leading manufacturer of We are leading manufacturer ofWe are leading manufacturer of Remy Indian Human Hair Extension. We supply to sell wholesale Indian hair in India without any mixing. This hair is authentic, remy virgin human hair. We offer to sell low prices in the market. We sell high quality Indian natural hair with natural color. This natural color hair can be dye and bleach to change the color of the hair. It's available in 8 to 30 inch hair lengths. It is 100 % temple raw hair. These hairs can be easily restyled. It is natural human hair with natural shine and smoothness. We are leading manufacturer of Indian HumanHair. We supply to sell wholesale Indian hair in India without any mixing. This hair is authentic, remy virgin human hair. We offer to sell low prices in the market. We sell high quality Indian natural hair with natural color. This natural color hair can be dye and bleach to change the color of the hair. It's available in 8 to 30 inch hair lengths. It is 100 % temple raw hair. These hairs can be easily restyled. It is natural human hair with natural shine and smoothness. We are leading manufacturer of Remy Indian Human Hair Extension. We supply to sell wholesale Indian hair in India without any mixing. This hair is authentic, remy virgin human hair. We offer to sell low prices in the market. We sell high quality Indian natural hair with natural color. This natural color hair can be dye and bleach to change the color of the hair. It's available in 10 to 30 inch hair lengths. It is 100 % temple raw hair. These hairs can be easily restyled. It is natural human hair with natural shine and smoothness. 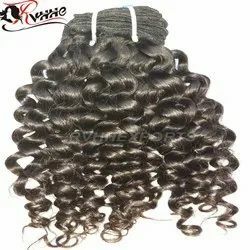 We are leading manufacturer of Bounce Curly Human Remy Hair ExtensionsWe supply to sell wholesale Indian hair in India without any mixing. This hair is authentic, remy virgin human hair. We offer to sell low prices in the market. We sell high quality Indian natural hair with natural color. This natural color hair can be dye and bleach to change the color of the hair. It’s available in 10 to 30 inch hair lengths. It is 100 % temple raw hair. These hairs can be easily restyled. It is natural human hair with natural shine and smoothness. We are leading manufacturer of Indian Remy Human Hair Machine WeftWe supply to sell wholesale Indian hair in India without any mixing. This hair is authentic, remy virgin human hair. We offer to sell low prices in the market. We sell high quality Indian natural hair with natural color. This natural color hair can be dye and bleach to change the color of the hair. It’s available in 10 to 30 inch hair lengths. It is 100 % temple raw hair. These hairs can be easily restyled. It is natural human hair with natural shine and smoothness. We feel immensely proud to introduce ourselves as a prominent manufacturer, exporter, wholesaler & supplier of an extensive array of Indian Hair. This Indian hair is made available in different shades & lengths according to the variegated demand of customers. Offered Indian hair is processed hygienically under the direction of experts using advance processing techniques. In addition, offered Indian hair is widely demanded for its silkiness, smooth texture, strength, and long lasting shine. We are leading manufacturer of RAW TEMPLE REMY HUMAN HAIR. We supply to sell wholesale Indian hair in India without any mixing. This hair is authentic, remy virgin human hair. We offer to sell low prices in the market. We sell high quality Indian natural hair with natural color. This natural color hair can be dye and bleach to change the color of the hair. It’s available in 10 to 30 inch hair lengths. It is 100 % temple raw hair. These hairs can be easily restyled. It is natural human hair with natural shine and smoothness. We are leading manufacturer of 9a Indian Remy Human Hair ExtensionWe supply to sell wholesale Indian hair in India without any mixing. This hair is authentic, remy virgin human hair. We offer to sell low prices in the market. We sell high quality Indian natural hair with natural color. This natural color hair can be dye and bleach to change the color of the hair. It’s available in 10 to 30 inch hair lengths. It is 100 % temple raw hair. These hairs can be easily restyled. It is natural human hair with natural shine and smoothness. 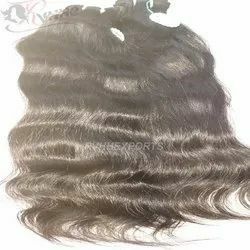 We are leading manufacturer of Top Quality Indian Remy HairWe supply to sell wholesale Indian hair in India without any mixing. This hair is authentic, remy virgin human hair. We offer to sell low prices in the market. We sell high quality Indian natural hair with natural color. This natural color hair can be dye and bleach to change the color of the hair. It’s available in 10 to 30 inch hair lengths. It is 100 % temple raw hair. These hairs can be easily restyled. It is natural human hair with natural shine and smoothness. We are leading manufacturer of Single Drawn Indian Remy Human HairWe supply to sell wholesale Indian hair in India without any mixing. This hair is authentic, remy virgin human hair. We offer to sell low prices in the market. We sell high quality Indian natural hair with natural color. This natural color hair can be dye and bleach to change the color of the hair. It’s available in 10 to 30 inch hair lengths. It is 100 % temple raw hair. These hairs can be easily restyled. It is natural human hair with natural shine and smoothness. We are leading manufacturer of Remy Indian Hair We supply to sell wholesale Indian hair in India without any mixing. This hair is authentic, remy virgin human hair. We offer to sell low prices in the market. We sell high quality Indian natural hair with natural color. This natural color hair can be dye and bleach to change the color of the hair. It’s available in 10 to 30 inch hair lengths. It is 100 % temple raw hair. These hairs can be easily restyled. It is natural human hair with natural shine and smoothness. 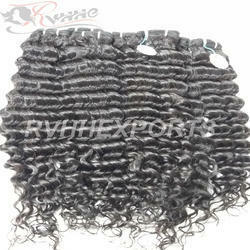 We are leading manufacturer of Single Drawn Remy Hair Weft. We supply to sell wholesale Indian hair in India without any mixing. This hair is authentic, remy virgin human hair. We offer to sell low prices in the market. We sell high quality Indian natural hair with natural color. This natural color hair can be dye and bleach to change the color of the hair. It's available in 8 to 30 inch hair lengths. It is 100 % temple raw hair. These hairs can be easily restyled. It is natural human hair with natural shine and smoothness. 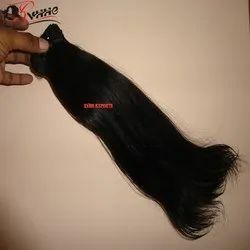 We are the leading manufacturer and exporter of Best Remy Indian Human Hair. We are leading manufacturer of Soft Indian Remy Human HairWe supply to sell wholesale Indian hair in India without any mixing. This hair is authentic, remy virgin human hair. We offer to sell low prices in the market. We sell high quality Indian natural hair with natural color. This natural color hair can be dye and bleach to change the color of the hair. It’s available in 10 to 30 inch hair lengths. It is 100 % temple raw hair. These hairs can be easily restyled. It is natural human hair with natural shine and smoothness. 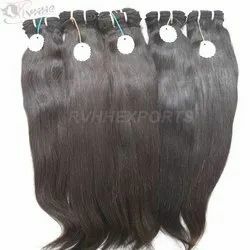 We Are Leading Preparer of Brown Human Hair Extensionwe Supply to Sell Wholesale Indian Hair in India Without Any Mixing. This Hair is Authentic, Remy Virgin Human Hair. We Offer to Sell Low Prices in the Market. We Sell High Quality Indian Natural Hair With Natural Color. This Natural Color Hair Can Be Dye and Bleach to Change the Color of the Hair. It’s Available in 10 to 30 Inch Hair Lengths. It is 100 % Temple Raw Hair. These Hairs Can Be Easily Restyled. It is Natural Human Hair With Natural Shine and Smoothness. 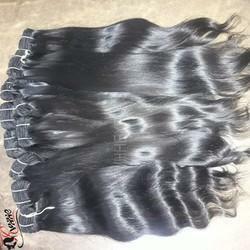 We are the leading manufacturer and exporter of Raw Unprocessed Virgin Indian Hair weft. We offer to sell low prices in the market. We sell high quality Indian natural hair with natural color. This natural color hair can be dye and bleach to change the color of the hair. It’s available in 8 to 30 Inch hair lengths. This is beautiful Indian Remy hair style extensions. It’s very famous for natural wav style and for silky smooth texture. These hairs are 100% tangle free natural human hair. 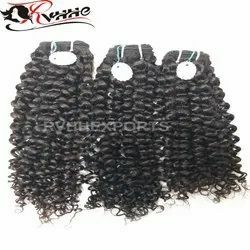 We are leading manufacturer of 9A Remy Indian HairWe supply to sell wholesale Indian hair in India without any mixing. This hair is authentic, remy virgin human hair. We offer to sell low prices in the market. We sell high quality Indian natural hair with natural color. This natural color hair can be dye and bleach to change the color of the hair. It’s available in 10 to 30 inch hair lengths. It is 100 % temple raw hair. These hairs can be easily restyled. It is natural human hair with natural shine and smoothness. 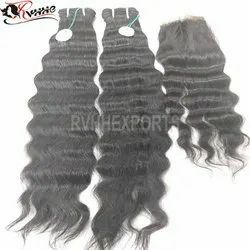 We Are Leading Preparer of Indian Remy Single Drawn Human Hair Extension We Supply to Sell Wholesale Indian Hair in India Without Any Mixing. This Hair is Authentic, Remy Virgin Human Hair. We Offer to Sell Low Prices in the Market. We Sell High Quality Indian Natural Hair With Natural Color. This Natural Color Hair Can Be Dye and Bleach to Change the Color of the Hair. It’s Available in 10 to 30 Inch Hair Lengths. It is 100 % Temple Raw Hair. These Hairs Can Be Easily Restyled. It is Natural Human Hair With Natural Shine and Smoothness. Our company is entity famous for manufacturing and exporting best quality Indian Remy Straight Hair Extensions. These straight hair extensions are very famous for their long lasting shine, tangle free feature and smooth texture. We make sure that all the Remy Straight Hair Extension is made from only high end quality of base materials. 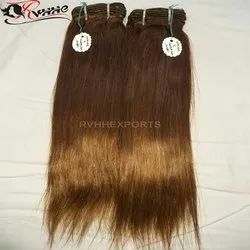 We are a reputed Indian Indian Remy Straight Hair Extensions manufacturer and exporter. Easy to wash, unique shine and softness are some of the salient attributes of our Indian Remy Straight Hair Extension.